New Yorkers will mainly need to look to the city for their CBD oil products, though there a few shop options in White Plains and Yonkers. Still, New York City itself has a wealth of CBD shops, with a particular concentration in Brooklyn (Williamsburg and Prospect Heights), the East Village, and the Lower East Side, with more popping up by the day – at last count over a dozen. 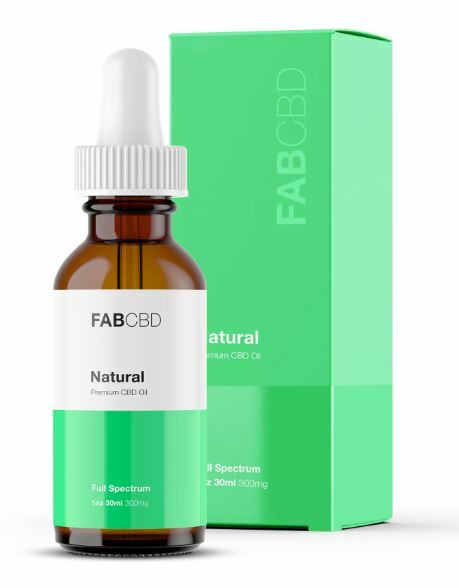 Read below to find out more about where to buy CBD oil in New York! As CBD becomes more and more popular, you can expect to find CBD in places like Hempstead, Buffalo, Rochester, Yonkers and Syracuse. Even somewhat smaller cities like Albany (the state capital), New Rochelle, Mount Vernon, Schenectady and Utica will likely have CBD stores. Below we’ve listed what we consider the best CBD shop options in New York State. Craft Beer & Smoke Shop (779 Grand St, Brooklyn, NY 11211) is the highest-rated outlet in all of New York, with a perfect 5-star rating based on nearly 50 reviews. Located right off the Grand St. on the L-Train, Craft Beer & Smoke is open seven days a week, 12-13 hours a day, so customers are never left in the cold. Reviewers note the shop’s low prices, knowledgeable staff, and laid back atmosphere – the perfect retreat from New York mania. Also of note is Graham Vape and Cigar (354 Graham Ave, Brooklyn, NY 11211), just around the corner, which offers a wide range of products. The shop also offers to match any price (excluding tax) found at a competing shop or online. Open seven days a week, starting at 8AM, Graham has the bonus of extra-late weekend hours: Thursday until 2:30AM and Friday-Saturday until 3AM. The LES and East Village boasts the largest concentration of CBD oil-selling shops in New York. Starting with the five-star rated East Village Smoke Shop (177 1st Ave, New York, NY 10003), customers enjoy some of the cheapest CBD oil in town and added promotions; with any vaporizer purchase, you’ll receive a grinder for free. EVS’s hours are near impossible to beat: open seven days a week, until 4AM on Friday and Saturday. A few blocks down 2nd Avenue, Cloud99 Vapes (50 2nd Ave, New York, NY 10003) is just above the Houston F-Train stop and is another affordable shop selling CBD oils, 220 juice flavors, mods, tanks, coils and accessories. Reviewers especially highlight the customer service and product selection. Brooklyn Smoke Shop (198 Flatbush Ave, Brooklyn, NY 11217) between Prospect Heights and Boerum Hill is easily accessible via several subway trains. With a 4.5-star rating based on over 30 reviews, customers highlight the shop’s high quality CBD products and knowledgeable staff. Promotions are often available, and the store is open seven days a week, until 2Am Friday and Saturday. Vireo Health (221-223 E Post Rd, White Plains, NY 10601) is conveniently located just off I-287, a short and scenic drive or train ride from New York City. Unlike the other CBD oil shops on the list, Vireo is technically a medical dispensary and offers three CBD oil product lines, ranging from high percentage CBD pure oil, to a high THC brand. Vireo’s rewards program is particularly popular, and first time customers earn a free vape pen. If you’d rather not make the trip, Vireo’s delivery program has you covered, servicing most of the New York Metro Area. Open Tuesday through Saturday, 7 hours a day; appointments are required. Etain (55 Main St, Yonkers, NY 10701) is another dispensary option for CBD oils. Three specially-formulated CBD oils are produced in a company-owned production facility in Chestertown and extracted in-house using a clean, solventless, CO2 system: Dolce, with a high concentration of CBD oil and trace amounts of THC; Balance, with moderate levels of each; and Forte, with a high THC concentration and low CBD oil level (less relevant for our purposes). Both Dolce and Balance are available as capsules, tincture, oil spray, and vaporizers.